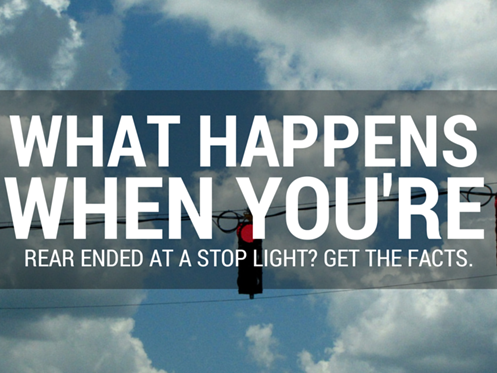 What happens when you are rear-ended at a stop light or stop sign? Rear end accidents can happen at any moment. Many think rear end accidents are simple and have a simple claim process. I was stopped. They hit me. Slam dunk, right? Rear end collisions are common, but can also be very complex. Always keep the following in mind: You are dealing with an insurance company. Goal #2: If we can’t pay nothing, pay as little as possible. Now, with these goals in mind, still think they are going to make these easy?? There are many variables involved when it comes to a rear end accident, and even more in dealing with an insurance company. That's why it's wise to have an experienced rear end accident lawyer handling your case. Remember: If insurance companies really treated people as they say on their commercials, we would not need attorneys. 5. Consult as soon as practicable with an experienced personal injury lawyer.